Susan Evans McClure ( @SusnEvans ) supervises food history as Director, Programs and Audience Development for the National Museum of American History. 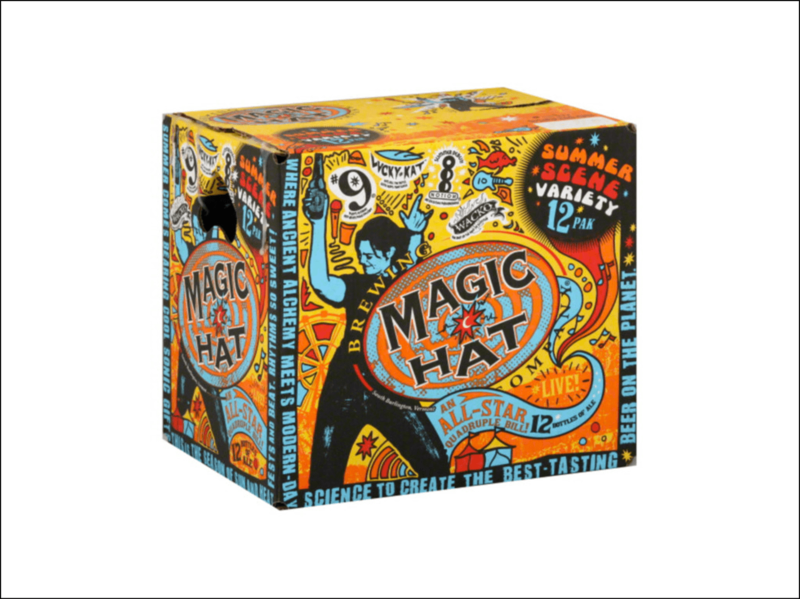 Her career prior to the Smithsonian included a 4-year tenure with Magic Hat, during which she constantly learned and connected with their audience, be it beer fans, concert-goers, or the diverse Vermont and New England consumers. She noted many things she learned there changed what she does now. Did I happen to mention she was on their packaging? Please note that she does not like Grateful Dead…too bad. Moving onto her role at the Smithsonian, she now has the daunting task of connecting audiences with history. During college, we always joked that history was the major with a whole lot of past but no future. For a select and passionate few, this clearly is not the case. Though the Smithsonian launched in 1964, the history museum began in 1980. Since then it has evolved into 19 museums and 9 research centers and brings in 4.5 million visitors every year! Why beer? Beer and food is simply a natural progression, as there is a lot of overlap between history and beer geeks. 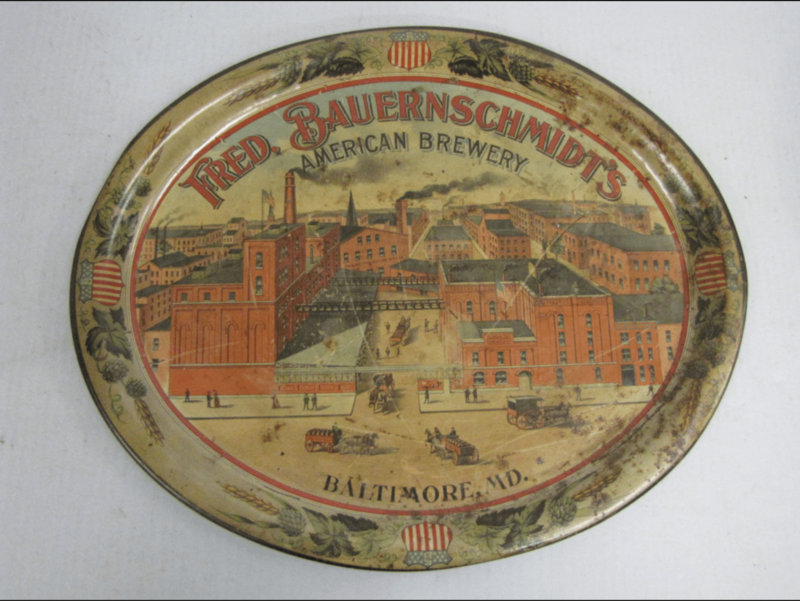 Believe it or not, the Smithsonian has over 3 million food and beverage-related objects there! While much of the Smithsonian’s vast catalogue is agriculture-heavy, technology (like appliances) also makes a substantial percentage along with plenty of advertising/packaging. They even have Julia Child’s kitchen there — mind you not just a few pieces but the whole kit(che)n kaboodle (pun intended). 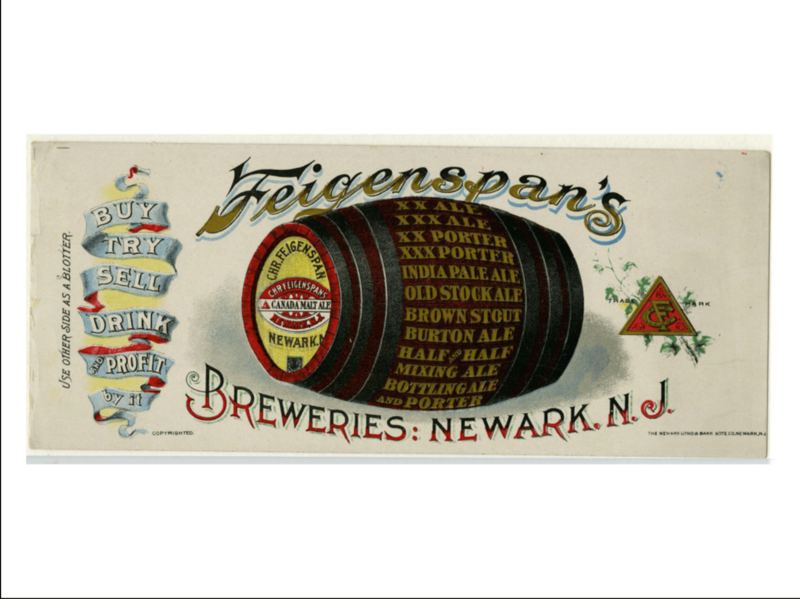 Before holding their events, the museum staff surveyed the collection for beer-related pieces and located a great assortment from the early 20th Century, a few of which I have included care of Susan’s deck. They later had a sold-out panel discussion (with over 275 attendees!) featuring a brewer and a historian alongside examples from their collection. Who says we beer geeks don’t like history? 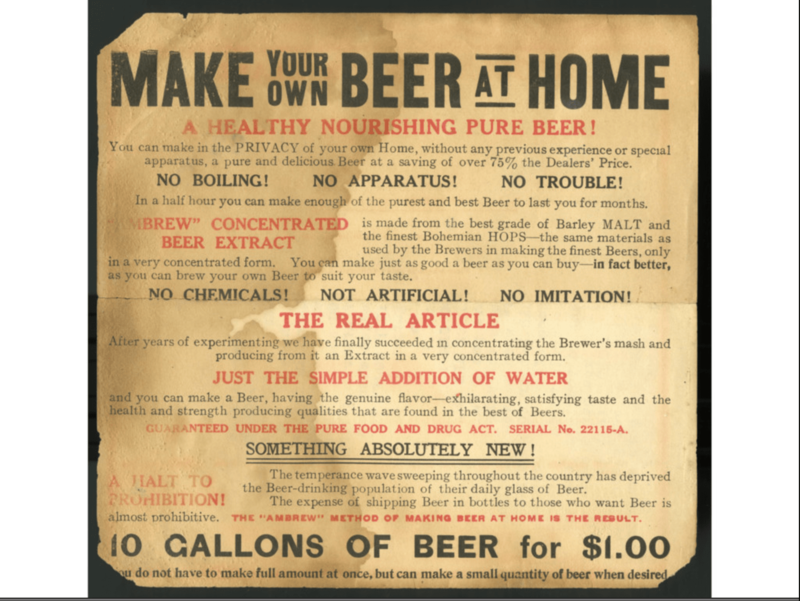 Malt extract advertisement – crazy! So how is The Smithsonian funded? About 60-70% comes from Federal funds with the remainder coming from charitable and private donations. One other fact I did not know was that people can use them for research purposes. While I do not believe I would have needed that level of access all those years ago in college, it could have definitely helped settle various beer-fueled conversations and arguments with regards to American brewing history. Believe it or not, they had next to nothing about the modern craft beer movement or even post-prohibition; they actually had more on wine! Their “Kitchen Cabinet” aka The Smithsonian’s food advisory group really helped them to start stepping up their game. Kim Jordan of New Belgium put them in touch with the Brewers Association, and they launched a new project in May 2016…hiring a beer historian. When the release hit the newswire, there was an unprecedented amount of coverage, and I too (as I previously mentioned pre-BBC17) had even thought for a brief moment about applying for the job. Ultimately Theresa McCulla was hired, dual-wielding a culinary degree and a Harvard PhD; what I appreciated most about this decision is that she is a historian first and foremost. While an intelligent beer geek may have learned the ropes, I feel that academic discipline married with an attention to all things food science is the best approach. Theresa is on a huge mission of collecting items, looking to document: “put [artifacts and stories] in the record forever.” She is currently taking a brief break to enjoy her recent maternity, but she is already revving up to get back out there. The oral histories previously documented are currently being processed, with the brewing, agricultural and consumption sides all accounted for. Laboratory events will next take research to a national level, and results will be shared via normal communications channels as well on social media. 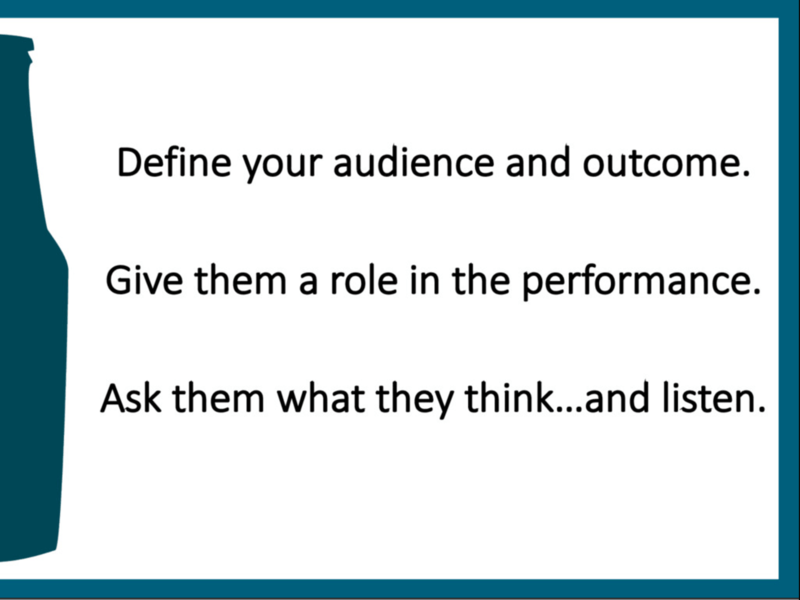 How does The Smithsonian approach digital engagement? 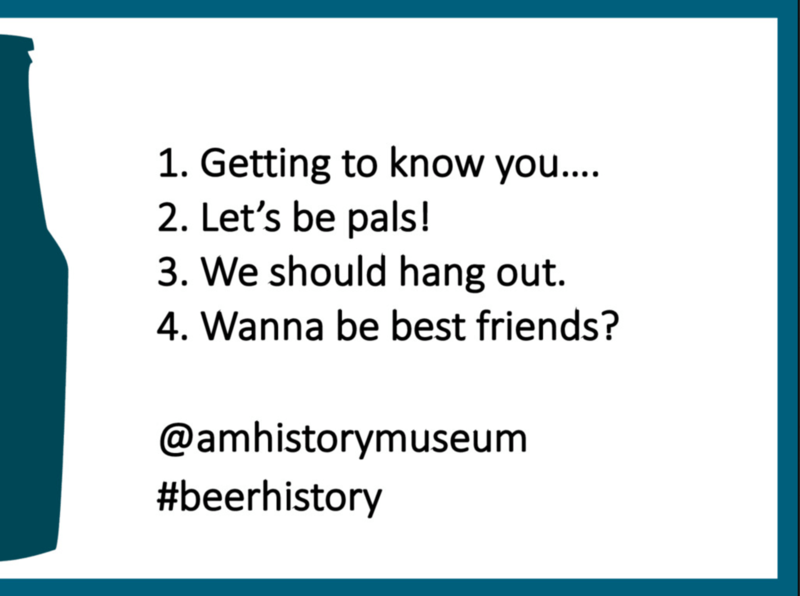 Define audience and outcome – not just millennials and history enthusiasts – What’s the deal with the history of that beer? Note shifts in behavior and track them. 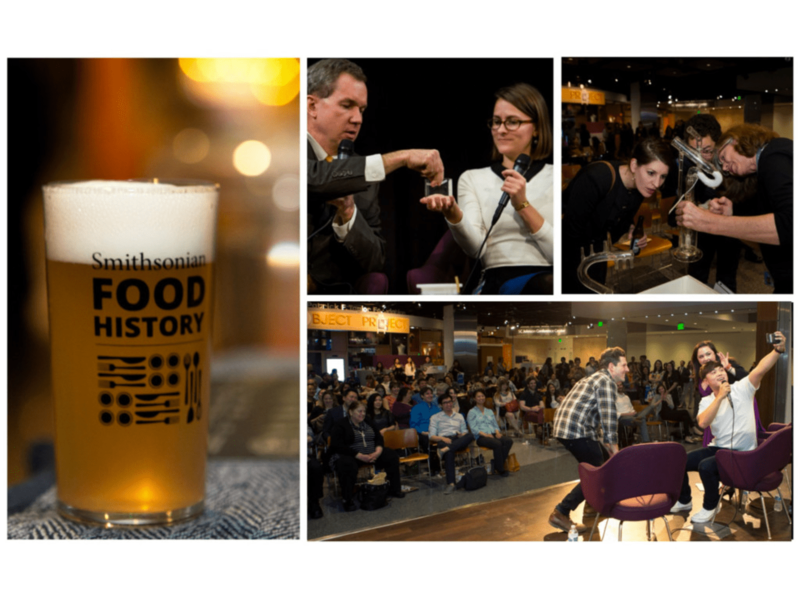 Food (and beer) is performance: give your audience a role to play – getting the audience to ask questions – about beer, history, themselves, THE WORLD? Ask them what they think and respect their answers. – Test, test, test. You are not your audience! What can we do as regional bloggers to help? It’s more like how they can help us? Smithsonian is a clearinghouse for their archives. They work more on a national level. 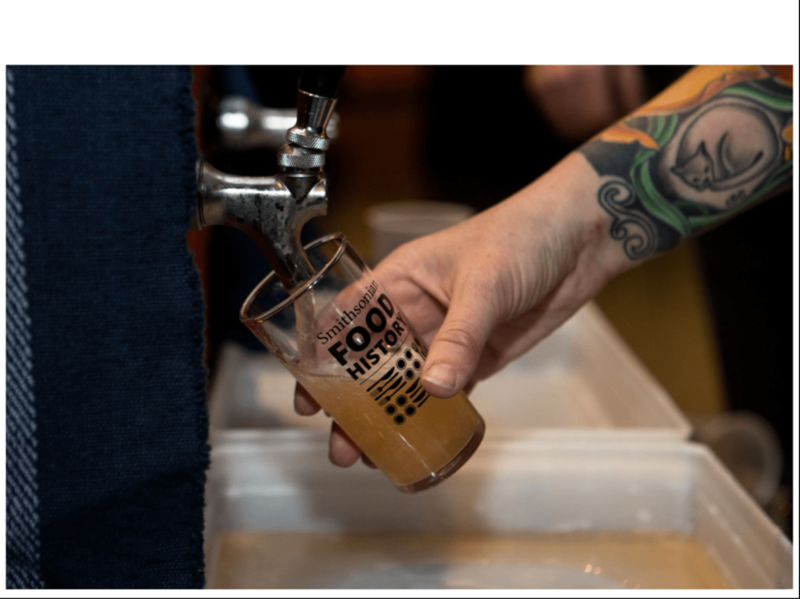 Craft beer is a lot of stories – how about a roadshow of modern items? They thought about that with their traveling exhibition service and documentation and research phase is underway. A key thought is how to display…audience agreed bringing them to breweries (space permitting) would be great, and we could hear additional oral histories while on premises. How does a city decide what to preserve? You can’t save everything…don’t be a hoarder. Find objects that tell multiple stories. Buildings are important as well! How about a newspaper digital collection? This is a slow, manual process and rapid digitization projects are tough. She was not 100% sure about local and regional newspapers, but the more they are requested, the priority might get bumped up. Jim from Pabst mentioned guests love that their tour is on beer history and it’s not a generic brewery tour. A major thanks to Susan Evans McClure for coming out to share her personal experiences, professional approaches, and all that the Smithsonian has to offer the greater American beer (and food) cultures. I hope to research and engage more with beer history over time, especially with regards to my area and everywhere the Conference takes us next. Life’s a tap…drink up ’til it’s dry.